You have many choices today when it comes to your website and email hosting, but not all hosting platforms are built the same. Far too many offerings today are based exclusively on price, while performance, reliability and security receive less attention than they should. At Novo Ops, we take pride in operating state-of-the-art servers with a specific focus on performance, reliability and security. 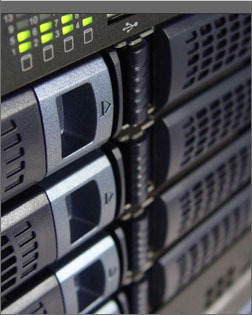 When you choose us as your hosting provider your website and email run on our dedicated servers housed in one of the world's foremost data facilities. With our full range of managed hosting offerings, uptime guarantee, ten years of hosting experience, and competitive pricing, Novo Ops is the right provider for all of your hosting needs.